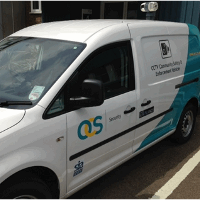 International total facilities management provider OCS has invested in a new high-tech CCTV van to help to deter and detect crime in the London Borough of Lambeth. OCS introduced the surveillance van, which is fitted with the latest high-tech surveillance equipment, to continue its commitment to innovation in providing the best possible service to the inner-London borough. The mobile surveillance service is provided as part of a five-year CCTV contract renewal with Lambeth London Borough Council thereby extending a relationship which began six years ago in April 2007. As part of the contract, OCS provides CCTV control room management of hundreds of cameras located on housing estates and in town centre areas such as Brixton, Clapham and Vauxhall. Key objectives of the service include reducing the fear of crime, deterring and detecting crime and providing evidence of offences. The new van is being deployed to crime hotspots in public areas at locations around the borough and will supplement the CCTV operation in areas where fixed cameras do not provide adequate cover. Times, locations and surveillance targets will change every week depending on the requirements of the police and other community safety partners. The vehicle is fitted with advanced technology including: a roof-mounted infinity pan and tilt camera system; a windscreen mounted camera with lowlight and infra-red capability and 18x optical zoom; a vandal resistant camera fitted to the inside of the vehicle; two 15 inch monitors and a 10 inch robust LCD touchscreen colour monitor. Babs Odeneye, Security Business Development Manager at OCS, said: “The deployment of the mobile CCTV vehicle is an exciting innovation which builds on our existing experience in providing CCTV control room management for Lambeth London Borough Council with whom we have developed a long-standing partnership. While 12 OCS staff are employed on the CCTV contract, just one Security Industry Authority-trained CCTV operator is required to operate the surveillance vehicle. Given the lone worker implications, the vehicle is fitted with an internal camera that can be viewed at the control room, a panic button, a town centre radio providing a direct link back to the control room and GPS tracking.